ROKO Technical Services, a division of ROKO Construction Limited has established it’s self as one of the commanding technical service providers in the construction industry in the East African region. Founded in 1979, ten years after ROKO Construction Company was started, the company has been characterized with high quality, authentic, pleasing, functional products that set the trend in Uganda, Rwanda and South Sudan. 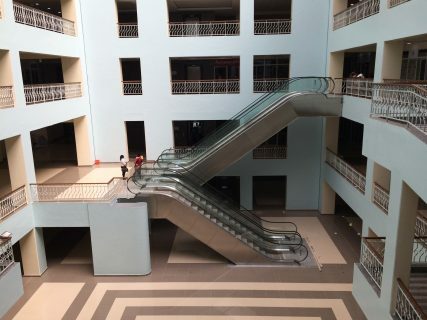 The company’s range of products and service includes Communication & IT equipment; Construction and Industrial Equipment as well as Elevators & Escalators. ROKO Technical Services possesses a highly experienced sales and technical staff with vast experience in their market fields. The sales staff are responsible for maintaining a high level of rapport with clients; sales carry out market research, product planning, trade shows and sales promotion activities while specialized technical personnel give support to all products supplied. 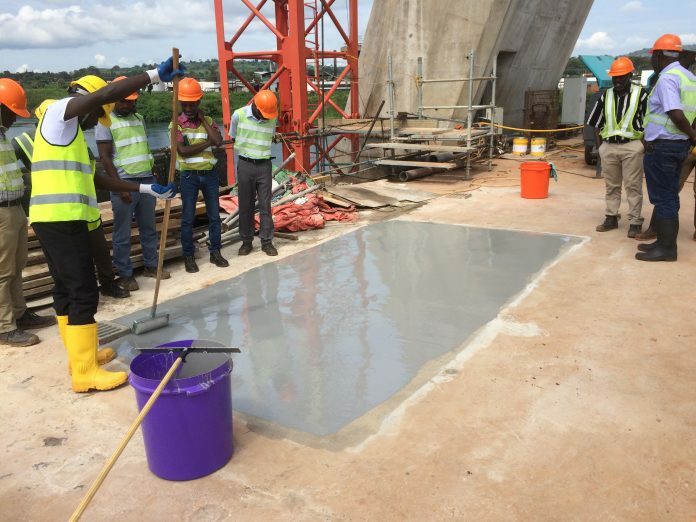 Some of its recent trendy projects are the Panoramic elevators from Switzerland, the first of their kind in Uganda, installed at the state of the art Acacia mall and the bridge deck waterproofing at the New Bridge Over River Nile in Jinja, the first of its kind on the continent. This has been achieved by sticking to it’s over 35-year mission of bringing different brands into Uganda and basically relate with other companies. Currently, the company sells waterproofing products, from Sika, imported from Kenya, Egypt, China and different Sika companies from the world. Roko Technical Services also deals in Harvey roofing tiles from South Africa, Hilti Power Tools and are agents of Schindler elevators. The company also has complementary products like stabilizers or UPSs to stabilize the power going to the elevators. Roko Technical Services isn’t all about sales. The company provides pre-sales services which include going to sites and advising clients on how to erect a shaft where the elevator will be installed. It continues with the sale itself, then the after sales once the 12 months warranty elapses. It’s clientele base ranges from private clients like manufacturers, individual businesses and construction companies to government, with the Bank of Uganda being one of the company’s oldest clients. The division’s services also expand to provisions of non-construction related services, which include importation of HF and VHF radio communication for both short, and long distance communication. The Mother company to ROKO Technical Services, ROKO Construction Limited’s success is attributed to its high-quality services in the construction industry. Its projects are some of the leading landmarks in Uganda, including amongst many, Mapeera House, Bugolobi Village mall, Namugongo Shrine in Uganda and Nyungwe Eco Lodge, Marriot Hotel in Rwanda. Just like all construction-related businesses, Roko technical services have experienced some difficulties. Like with the raw material prices especially of cement and steel that are remaining high in the region, hence construction pricing gets affected, and also the inescapable competitions from the influx of Chinese companies, whose government provide incentives. But regardless of all that Roko technical services is a brand known for its uncompromised quality in the construction industry through the region, always adjusting to the environment to be competitive regarding prices. ROKO Construction Limited and it’s division Roko Technical Services aren’t about service provision only. The company has taken on corporate responsibility activities by giving back to the community by supporting Industrial Training in Construction, Elevator Installation and Communication & IT, as well as supporting the Scouts Movement in Uganda, Kids of Africa in Entebbe, the Jane Goodall Foundation and various Church Projects across Uganda.